How about visiting a chocolate shop where you watch bean to bar chocolate being made while you sip hot cocoa and nibble on chocolate pastries? I'm in. 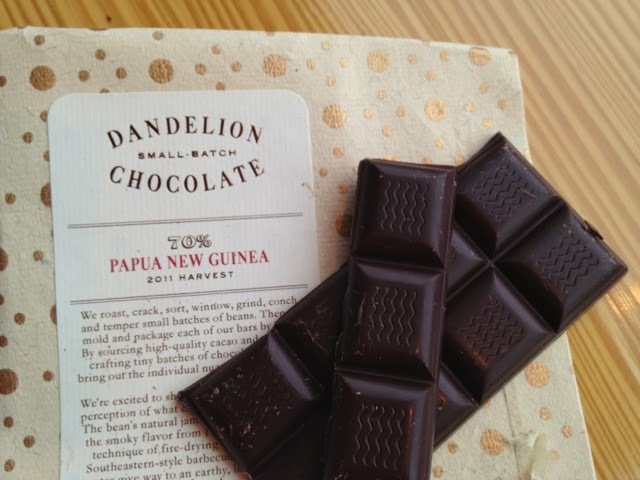 Todd tells us about Dandelion Chocolate, their newest bar, and answers questions about consistency with an agricultural product such as cocoa. P.S. These bars are packaged so pretty in gold and cream that you won't have to wrap them for the holidays...I love their packaging. Also, see their web site for the 12 Nights of Chocolate Celebration, if you are close to San Francisco don't miss out!